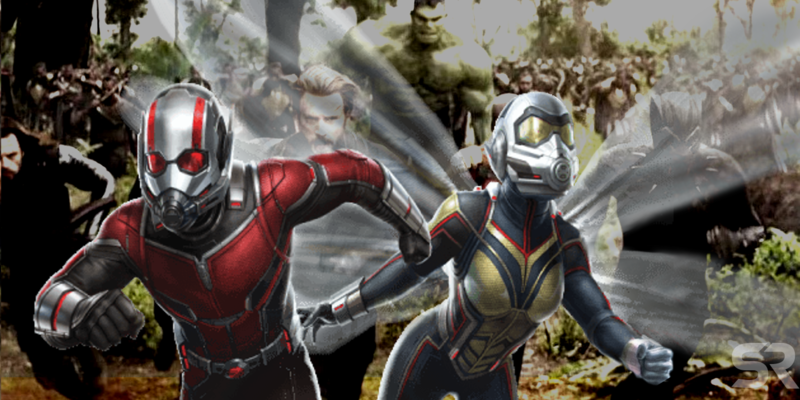 Ant-Man & The Wasp director, Peyton Reed, has revealed he didn’t want the superhero duo to appear in Avengers: Infinity War. Earlier this year, many of Marvel’s greatest heroes united on the big screen to fight one of the universe’s great threats, Thanos. But fans were quick to notice that not every superhero in the MCU made an appearance. Reed has come out to explain why neither Ant-Man nor the Wasp were called upon to help defend Earth from the Mad Titan. The release of Infinity War, the 19th film in the MCU, was Marvel’s most ambitious project to date. Although the studio was not new to films bursting with superheroes (Avengers, Avengers: Age of Ultron, Captain America: Civil War), they had never attempted such a star-studded crossover event. After ten years of buildup, the various plotlines in the MCU were at last to converge. Most of the pre-release furvor revolved around the lack of Hawkeye, who was notably absent from both trailers and posters. Upon the film’s release, viewers found out that Ant-Man and The Wasp were also otherwise occupied during Thanos’ search for the infinity stones. Their absence was odd considering that Captain America had already called upon Ant-Man’s help during Civil War. No explanation was given for why Captain America wouldn’t ask for his help a second time. The reason for their absence has, at long last, finally been revealed. During a recent video interview with IGN, Reed admitted that he didn’t want Ant-Man and The Wasp to be in Infinity War. Instead, he wanted their next story to be a standalone adventure. He also says he doesn’t like the idea of the pair appearing in other films because “Whenever these heroes pop up in movies I’m not involved in I get jealous,” although that sentiment obviously seems a bit tongue-in-cheek. Reed then shared concerns about the Wasp’s story being lost in Infinity War. Had the Wasp’s debut happened then, little time could have been devoted to developing her character. It was this same concern that led to her character being cut from Civil War. While viewers met her alter ego, Hope van Dyne, in the first Ant-Man film, she now officially gets to be a superhero in her own right. By bringing her into the MCU in Ant-Man & The Wasp, she is given ample time to shine. The decision not to include Ant-Man and the Wasp was also in part inspired by the tonal differences between their standalone film and Infinity War. First reviews for Ant-Man & The Wasp tell of a sillier and far more upbeat effort. After the heart wrenching ending to Infinity War, the shift in emotion could have been jarring for audiences, were characters from that film to have appeared in this one. By having the next installment in the Ant-Man franchise be a standalone, viewers will instead get a second dose of what they loved about Scott Lang’s first adventure. Reed’s interview allows MCU fans to fill in some of the blanks. It also gives a better idea about what can be expected in the upcoming Ant-Man & The Wasp. But with Infinity War still fresh in people’s minds – and Avengers 4 looming in the future – fans are sill left wondering how Ant-Man and The Wasp’s story will tie back in to the rest of the MCU. One thing’s for sure, with early reviews pointing towards another enjoyable addition to Marvel Studios’ ever-expanding film franchise, Ant-Man & The Wasp looks to be a great time.